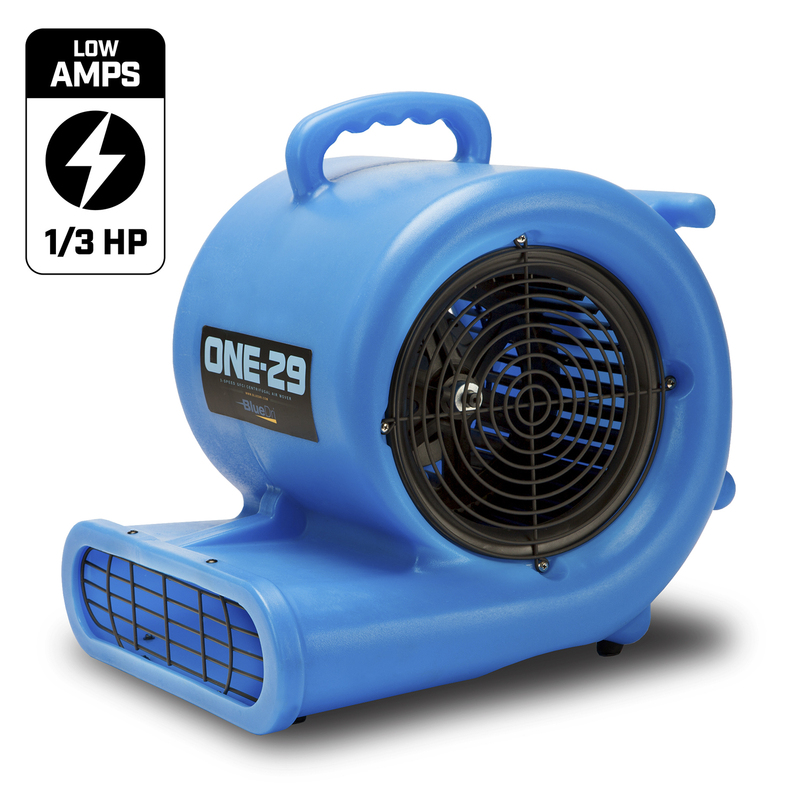 Looking for an air mover that’s easy to transport yet powerful in performance? 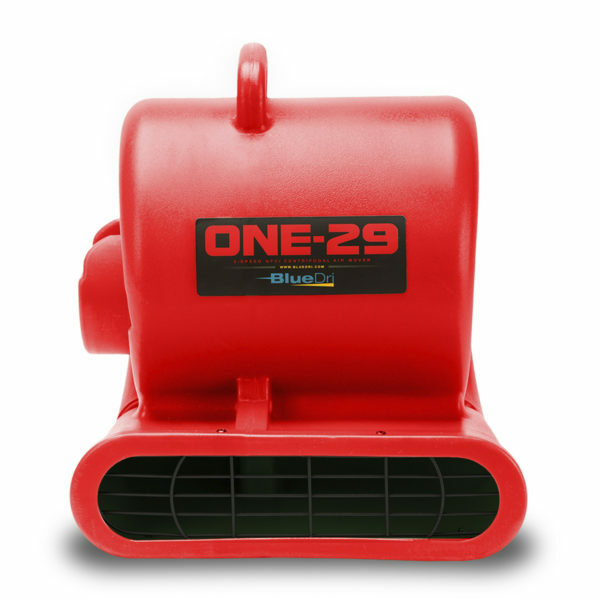 The One-29 Air Mover from BlueDri™, available in red and other colors, delivers a beneficial blend of maneuverability and power. 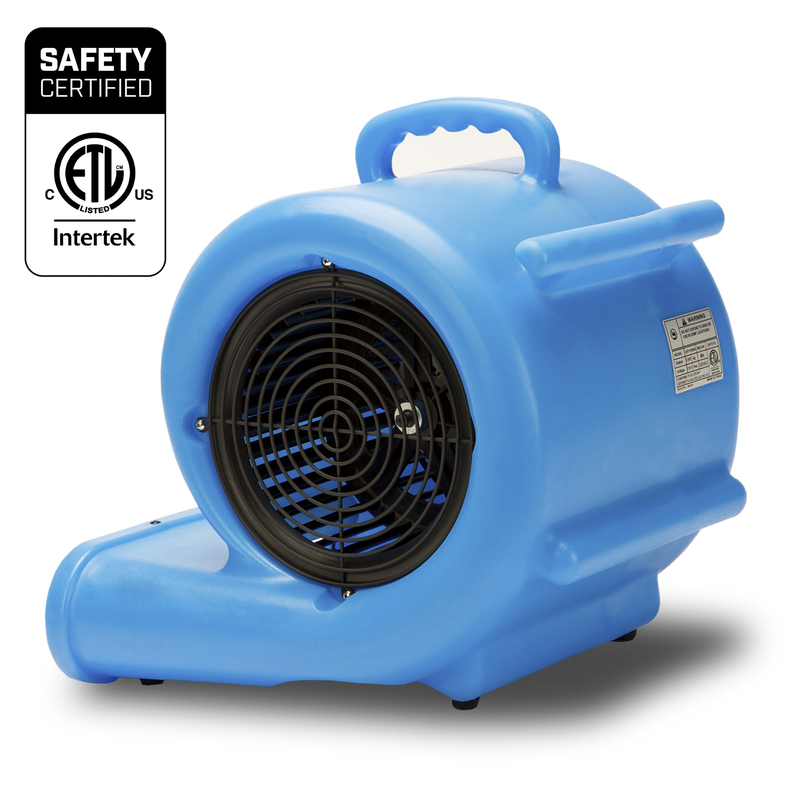 It is C-ETL-US safety certified, and its lightweight body runs off a 1/3 HP motor that delivers 2900 CFM. 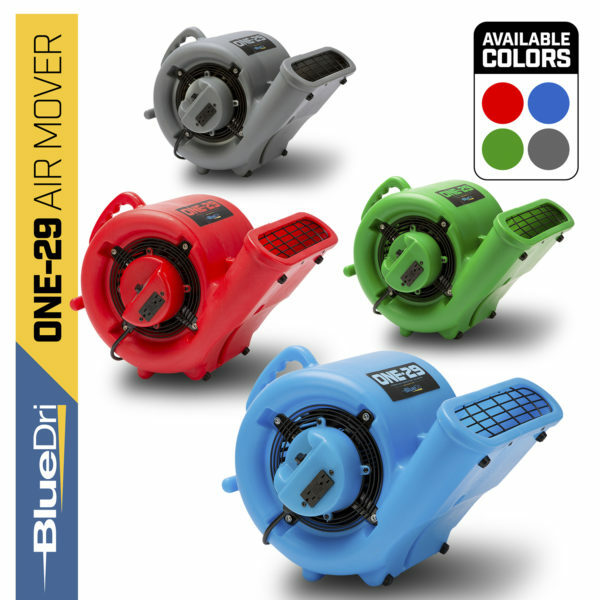 Use the One-29 Air Mover at one of three speeds and position it at one of three different angles — horizontal, vertical and 45 degrees included. 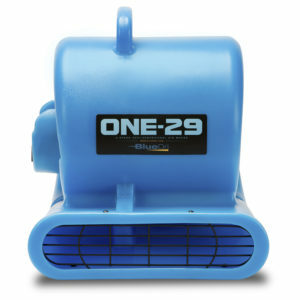 The advanced design of the One-29 Air Mover allows for stacking of up to three units. 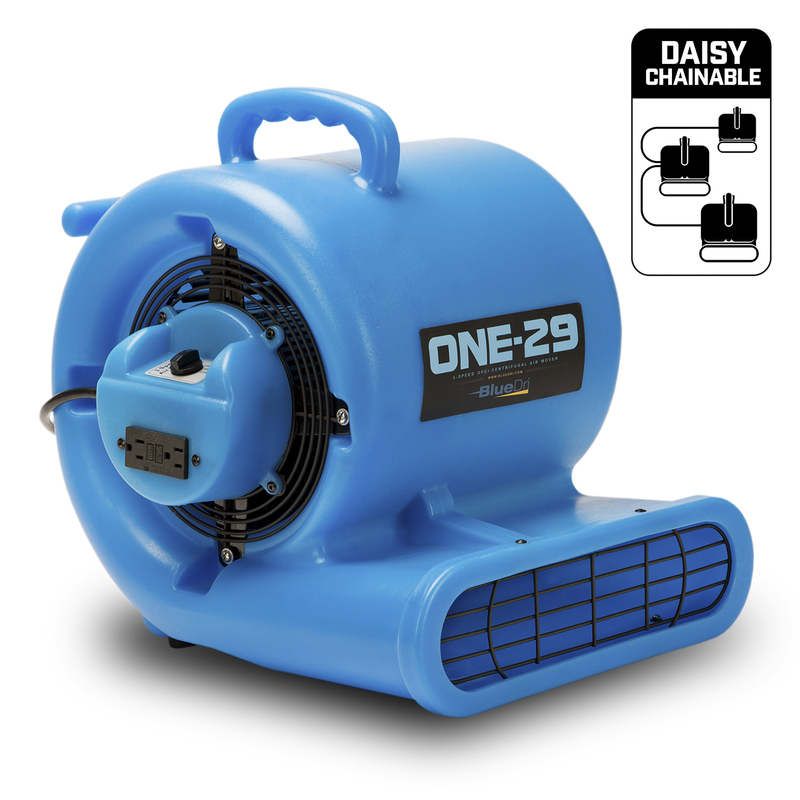 You can daisy chain together up to four units to create a dynamic air moving vortex while drawing only 2.9 amps at the highest speed. 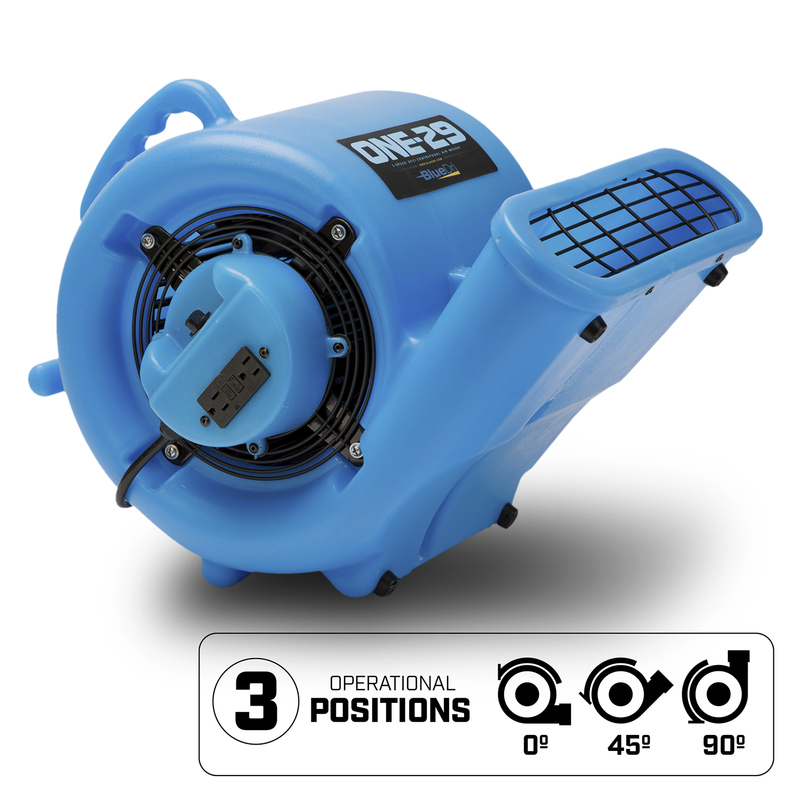 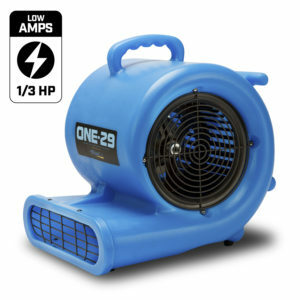 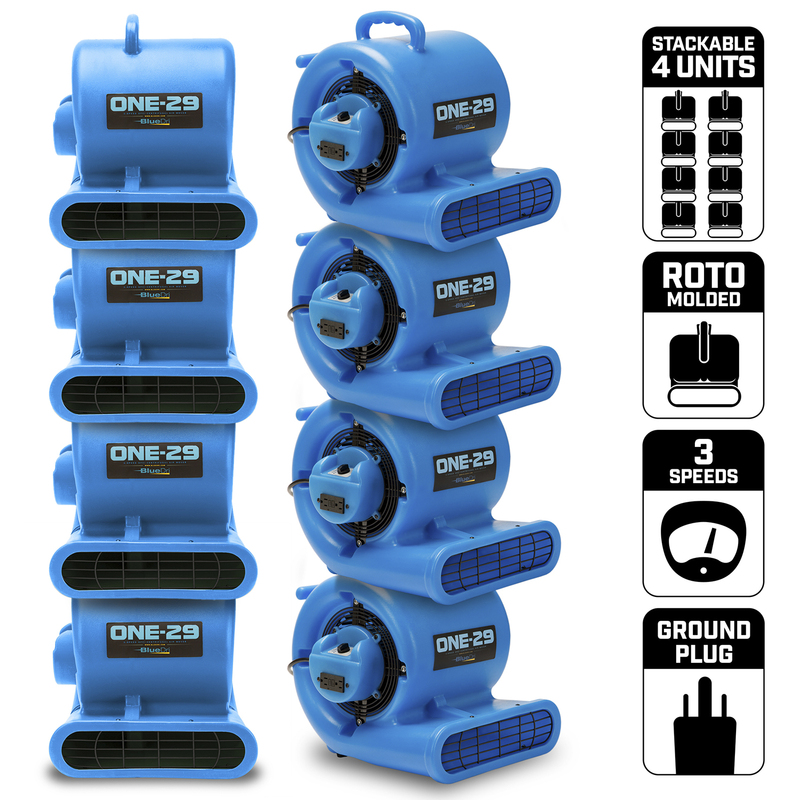 The One-29 is tough, too, featuring a roto-molded plastic housing that protects the motor and lets the unit keep on performing even in the harshest of commercial and industrial environments. Use the 25-foot power cord to stretch this air mover wherever you need it to go, and take advantage of the convenient cord wrap to keep your workspace nice and tidy.